How many of you have already chopped down the perfect tree and baked a few Christmas cookies? It's hard to believe it's already December, but I'm so excited to celebrate this time of year! If you're one of our awesome wedding couples, we want to help you put a few presents under your tree your parents will absolutely LOVE. After all, they had a huge hand in your big day! I know my mom loves having three wedding albums from her three kiddos on display at her home. 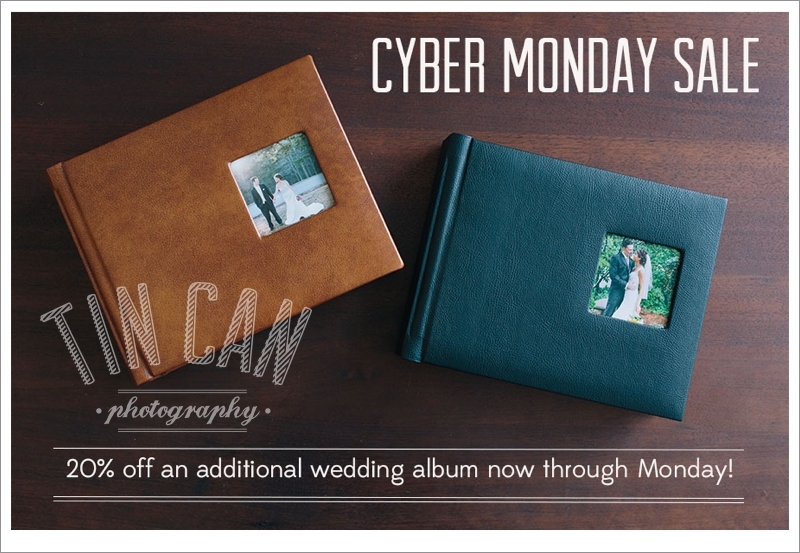 If you order an additional wedding album from us now through Monday, December 2, we'll give you 20% off your order!